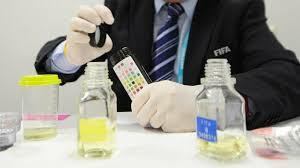 February 2 – For the second World Cup running, FIFA is planning to test anti-doping samples at a laboratory outside the host country. Michel D’Hooghe, chairman of FIFA’s medical committee, told Insideworldfootball that he was expecting that samples collected from World Cup players would once again be analysed at a laboratory in the Olympic capital of Lausanne. A meeting next week was expected to confirm this decision. In 2014, the football governing body had been obliged to devise a similar plan because the World Anti-Doping Agency (WADA) revoked the accreditation of the so-called Ladetec laboratory in Rio de Janeiro. The logistical complexities of transporting packages rapidly across the Atlantic left FIFA facing an extra bill for the exercise of around $250,000. WADA revoked the accreditation of the Moscow Anti-Doping Laboratory following revelations of a Russian doping scheme that have dominated the Olympic news agenda for two years. Russian athletes are to compete as neutrals, under the label “Olympic Athletes from Russia (OAR)”, at this month’s Winter Olympics in Pyeongchang, South Korea. D’Hooghe said he was expecting that, once again, every player involved in the World Cup would provide samples. At Brazil 2014, there were 1,033 controls in total, he said. FIFA doctors would conduct the controls. He also disclosed that a meeting with the 32 team doctors had been scheduled for Sochi towards the end of this month. Physicians are expected to be asked to sign a charter asking for their collaboration in a doping-free World Cup.